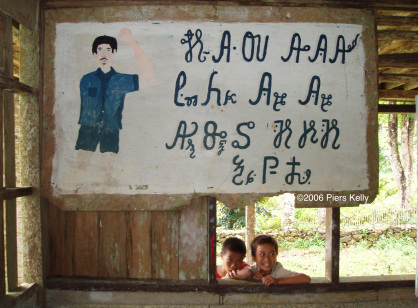 Eskayan, from the Philippine island of Bohol, is one of the world’s more mysterious writing systems. 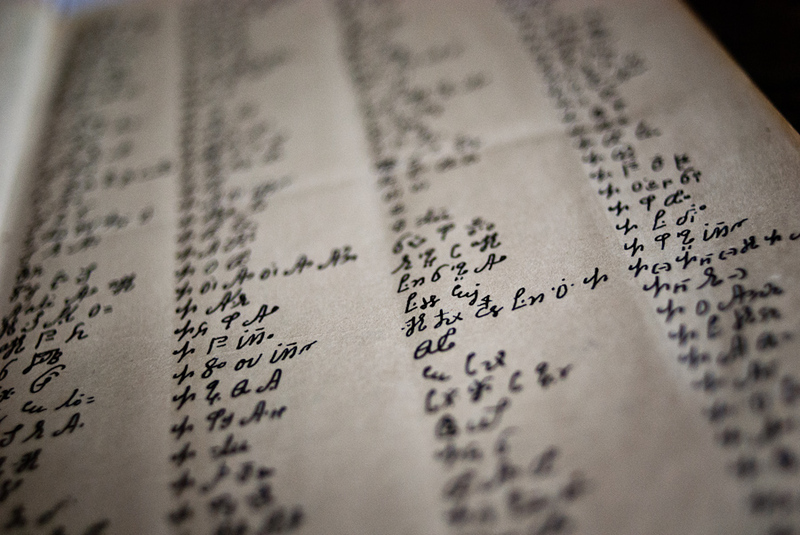 The script is made up of over 1,000 alphabetic, syllabic and alphasyllabic symbols, and many have additional curlicues that are apparently entirely decorative, even whimsical. 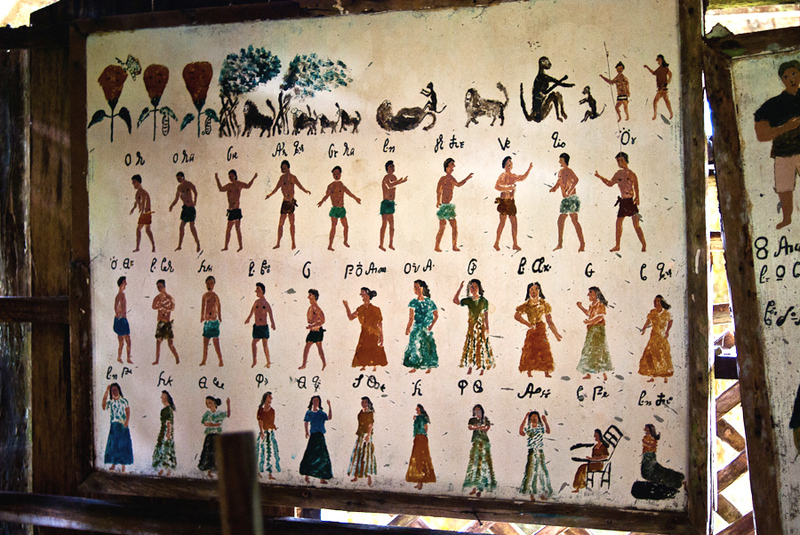 Several hundred seem to be superfluous characters that represent sounds that never appear in Eskayan words. The Eskayan language that it is designed to represent is itself a mystery with no clear relationship to other languages in its vicinity. 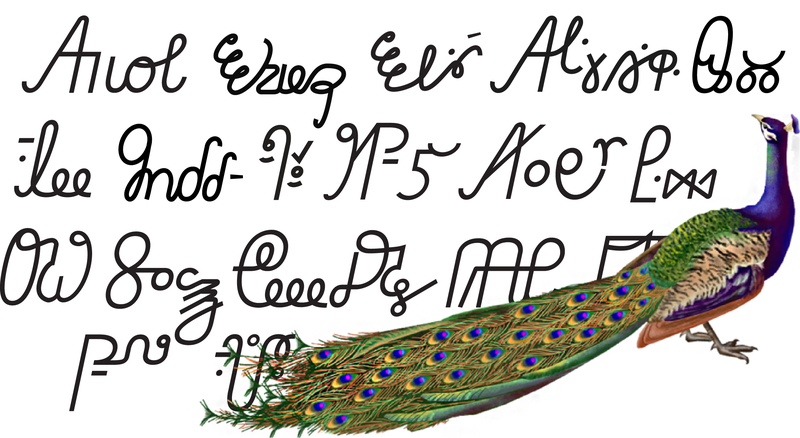 Eskayan is also one of a number of fascinating scripts that have their own writing-creation myth. Eskayan speakers say the script, and its language, was invented by an ancestral figure called Pinay, who was inspired by the human body. According to the same legend, Eskayan was later carved on wooden tablets and stored in a cave to preserve it from destruction. 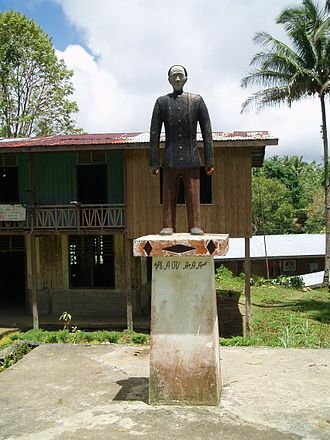 The language was then apparently pushed into extinction by Visayan and later Spanish, but then “rediscovered” by Mariano Datahan, a charismatic rebel leader who founded a utopian indigenous community in southeast Bohol in the aftermath of the Philippine–American War. Datahan used the Eskayan language and script as an embodiment and expression of his movement. 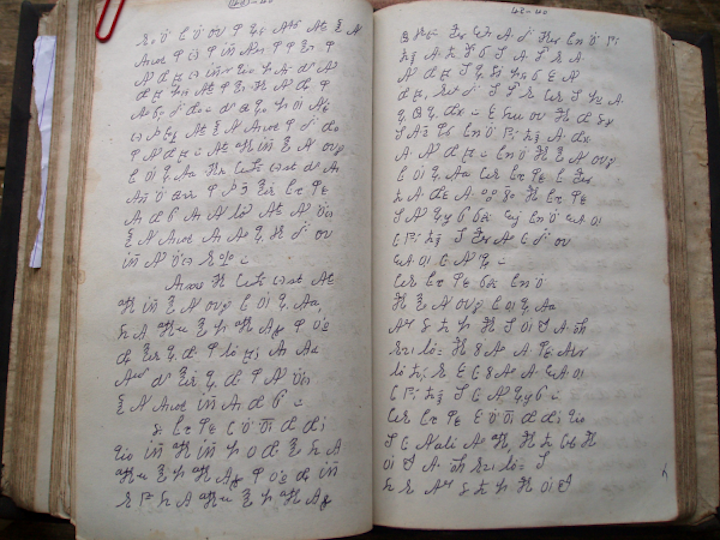 Even though the script is not yet fully digitized, numerous handwritten books exist in Eskayan. 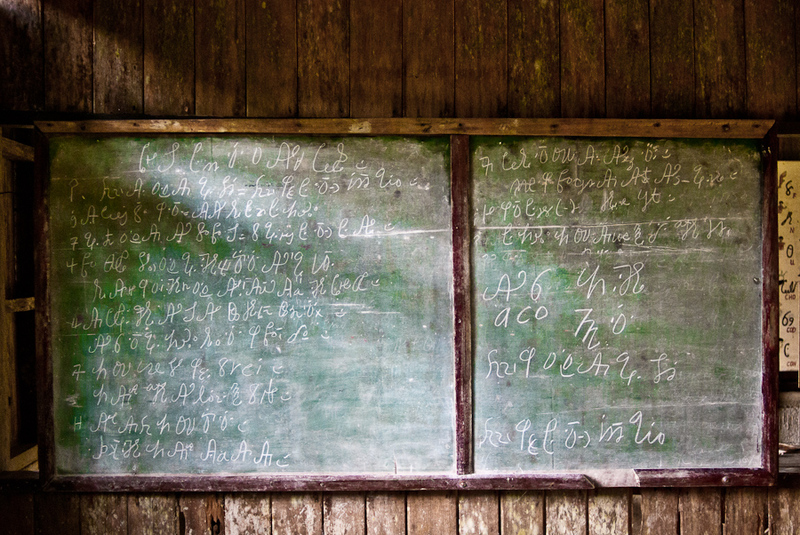 It is taught in several traditional schools on Bohol and in at least one public school.